One of the few challenges faced by global companies is hiring IT talent. The company might already have a team of employees who would be handling the different projects of its clients. But what happens when more projects come in and the present team does not have the time or the required skills for it? Do they hire more permanent staff, expanding their offices and accommodating the hires? Do they start paying the salaries, perks, and benefits? There is this unrelenting struggle to hire a cream of talent, train and retain them. Irrespective of their own workforce, some companies have to go through another hiring process when they are in the onset of a project, especially when they do not have the required skills. 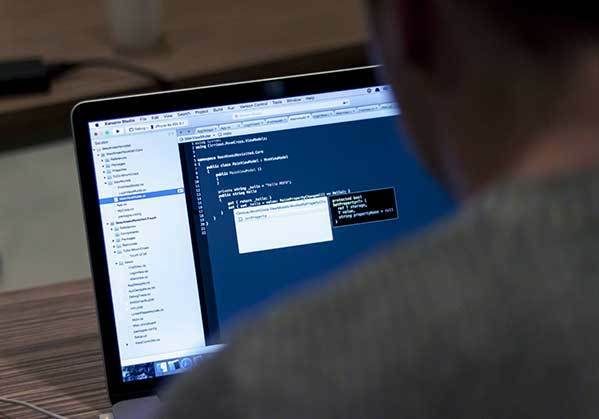 Finding the right IT skilled professionals who have the training to undertake quality application development projects is a problem faced by many business processes. In such situations companies have two options - outsource the skills to a third-part organization that can deliver high quality application development or to augment their in-house team with an outside team who can manage a particular project right from inception to execution. Staff augmentation enables companies to be prepared for projects even if their in-house team does not have the required application and management skills. What companies cannot do by leveraging internally, they are able to acquire in this manner. Let's have a look at the four key benefits of staff augmentation. If you engage a competitive partner who would provide you with the required skills and talent needed for the completion of a particular project, it would bring you a vast advantage. Since you no longer have to worry about overhead, you can attain measurable results by accessing to a vast repository of talent that would turn out to be the market drivers in the project. This would probably help you finish your project far ahead of your competitors. Fluctuating skill needs are a problem when you are chasing a deadline for a project. Decreasing budget, shortened product cycles, mission critical projects, aggressive targets dates can only be solved through staff augmentation. Companies have begun to hire expert staff for one-time projects rather than tax their existing employees who would already be doing their day-to-day tasks. There are companies that provide skilled staff on a temporary basis to complete time bound projects. Most companies are worried about compromising their data when they hire temporary staff from other companies. But these companies that outsource staff keep security as their priority, so you need not worry about your sensitive data being exchanged or misused. Contrary to outsourcing your project to a third-party company, staff augmentation lets you choose your temporary team and chart a plan on who might work on what. You can decide on the team leaders, subordinates and the rest of the team according to their skill set and experience. But when you outsource a project to another company, you may not have a say on who does what. This makes it less risky and you can prioritize your resources according to your deliverables. You can stay ahead of the competition by choosing staff augmentation. You can easily ramp up the quality of your staff’s product deliverable. Staff augmentation solves the problem of hiring permanent staff for your company. The team that joins your company for a particular project would dissolve on project completion and submission. Customer support (project support for clients), if needed, would be handled by your employees. Since the team members are not full-time candidates, you don’t have to go through the regular screening and hiring process. This saves time. The team that comes together solely for the execution and completion of a particular project would concentrate on the job at hand and would do it with precision and focus. They will not be involved in any other tasks related to the company that hires them. Staff augmentation can therefore help you pool the resources available through an ever-evolving and vast knowledge base, convert what could be a one-time capital expense into something that could just be a project-based operational expense and solve the problem of time wastage. Could you use some additional support completing your IT project? We can assist you with staff augmentation.